I’m a huge fan of Cabernet Sauvignon, which Alexander Valley in Sonoma County is known for, yet I’ve never spent time sipping my way through the valley. On our last trip to California we decided it was high time to explore its big Cabs for a few days. During our exploration I had the opportunity to visit Stuhlmuller Vineyards. I have to say, it was one of my “wine finds” of that trip. It got even better when Leo Hansen, the winemaker at Stuhlmuller Vineyards agreed to participate in Carpe Travel’s Interview with a Winemaker series. 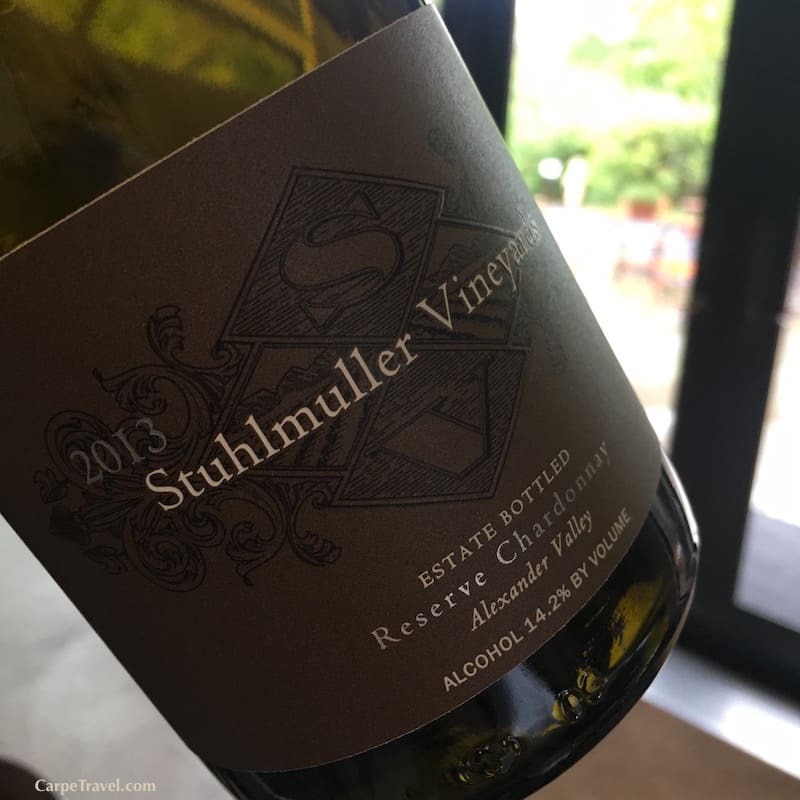 Like many family vineyards, the Stuhlmuller’s have been producing world-class grapes in Alexander Valley in Sonoma County for decades. Since the 1970’s they have supplied grapes to such notable wineries as Chateau Souverain, Cronin, and Page Mill which make highly praised single vineyard wines. It wasn’t until 2000 that Stuhlmuller Vineyards began producing its own wines; the inaugural wine was the Anno 2000. 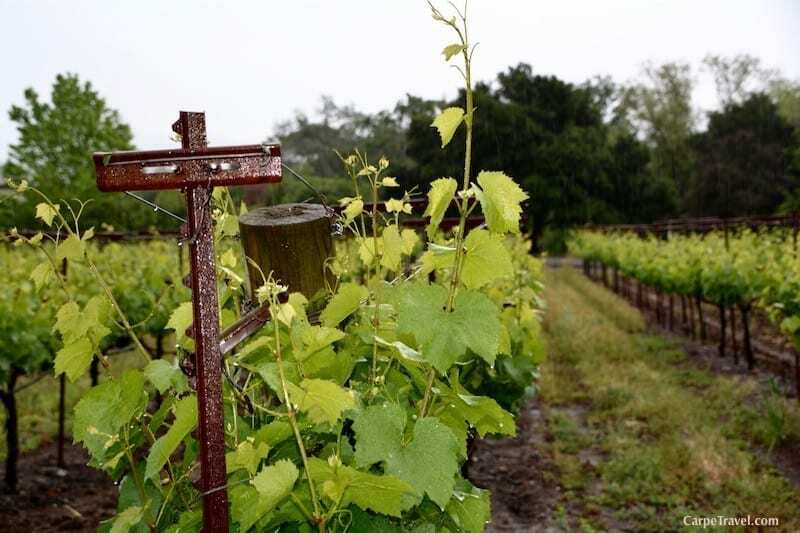 Today, Stuhlmuller Vineyards produces roughly 10,000 cases of Chardonnay and Cabernet Sauvignon annually, with the recent addition of extremely small allotments of estate Zinfandel. 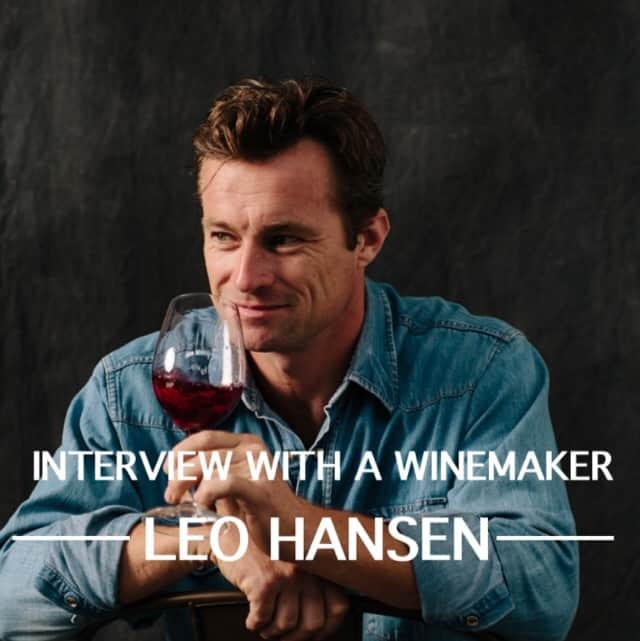 So without further ado, please welcome Leo to the latest installment of our Interview with a Winemaker. Can you give us a little background on how you got to Stuhlmuller Vineyards? I grew up in the service industry, and started working in my father’s kitchen at the age of 12. When I was older, I earned a degree in business sales and marketing, but food and wine were in my blood, and I soon began studying at the Kolding Hotel and Restaurant School. During my four-year apprenticeship there I was very fortunate to work alongside Orla Farmann, the national champion for the Danish Sommelier World Cup Team. Orla helped me develop my palate, and further deepened my love of wine. 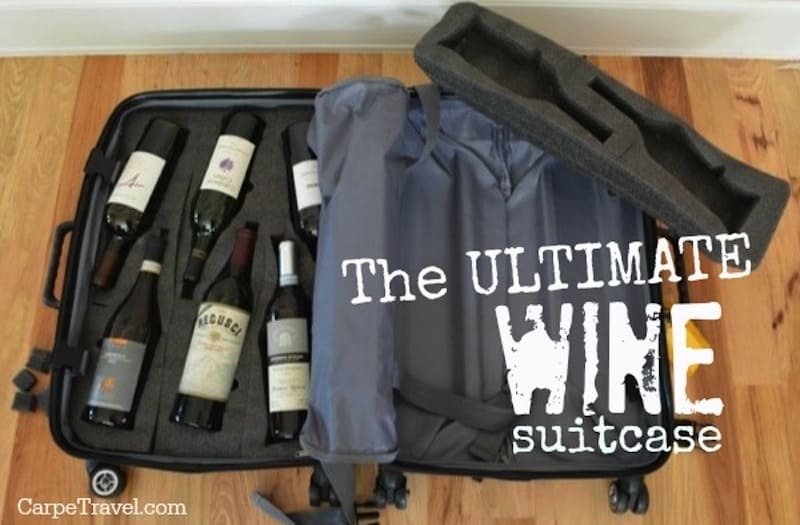 My love of wine took me many places, from Alsace, Loire, Champagne and Burgundy to Spain and Italy. Those travels culminated in my certification as a European sommelier, and in 1997, I became the wine director at Kong Hans, Copenhagen’s first one-star Michelin guide restaurant. In time, my work at Kong Hans took me to California to scout out new wines for our list. I felt an immediate connection with California’s vibrant winemaking scene—both the quality of its wines and the freedom given to its winemakers. In 1999, I moved to California to immerse myself in winemaking firsthand, and spent the next several years working days in wineries and nights as a sommelier. (My grape-stained fingers were part of the inspiration for the sommelier’s print.) At the same time, I complemented my practical experience by studying chemistry, viticulture and winemaking. My journey led me to Stuhlmuller Vineyards in Alexander Valley where I ultimately became winemaker in 2004—the same year I founded Leo Steen Wines. When people visit Alexander Valley, what are the top three things you think they should do/go/see? Three things to do except sucking in the beauty of this region is begin the day with a bike ride to the top of Pine Flat road – not for beginners. Or ride around the valley, followed by lunch at Diavola in Geyserville. It offers world class food in a casual setting with plenty of interesting local wines to enjoy. Then, of course, people should head down to Stuhlmuller for an afternoon tasting at the patio and amazing view of Mount Helena. My interest began in the early 1990’s during my first wine school. There are thankfully many stories and bottles associated with that. That interest has just been increased over the years and eventually took me to Northern California in the later 90s. I worked in Coonawarra in 2001, one thing I took with me home was to work in a efficient and structured way, which certainly is beneficial during the busy month of harvest. More specific to winemaking is to trust your instinct rather than panic. For instance, don’t panic if it’s a sluggish fermentation. What is your background as a winemaker? Where have you studied viticulture (other countries, wineries, etc.)? I grew up in the restaurant trade and eventually became a Sommelier in Denmark in the later 1990’s. My dad was a chef for three decades, during which time he always always told me stay away from the industry. As a late teenage rebellion move I stepped right into it. But, instead of the kitchen, I joined the other side – the front of the house. My journey has mainly been hands-on winemaking, with some classes in viticulture. Complimented with many great experiences all over the wine world to try and understand why things are done the way they are. I love how you went from a sommelier to a winemaker. Can you share a little about the transition – how you made the shift, was it easy, and why you wanted to make the change. I knew early on that I wanted to do more than the sommelier job, but it was not until I visited California in 1998 that I knew I would like to get my hands dirty among the vines. It was the first harvest I worked. From there, everything happened so fast…the never ending harvest wasn’t part of the plan, but I am still here. What I still find fascinating is the work from farming, to production and seeing the evolution of the final product. It never gets old. 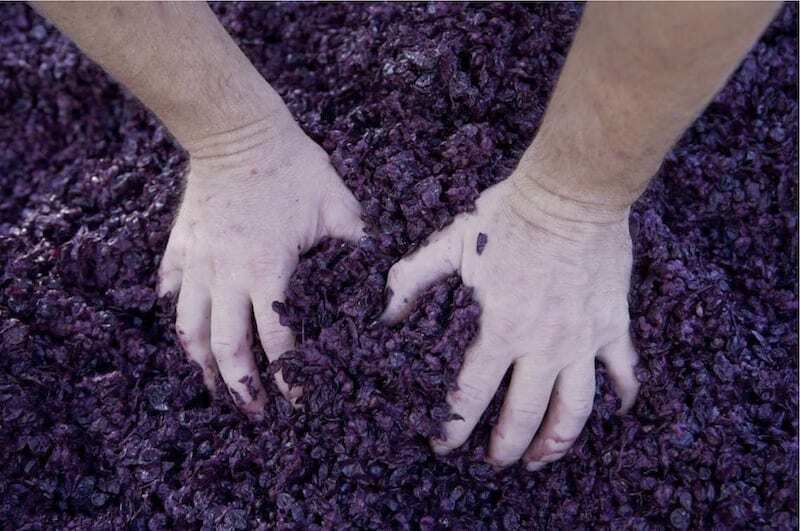 What is your winemaking philosophy?What would you hope people say about your wine? Balanced, delicious, please give me another glass. How does your approach differ from other winemakers in Sonoma County and even Napa Valley? I am trying to make honest wines that reflect the area of Alexander Valley hopefully with a level of refreshing energy as a house style, depending of the vintage. Generally, I would say we are in a movement where less use of new oak, lower alcohol and for my pallet more balanced wines are in style. What varietals are grown mostly in Alexander Valley? How do these compare to what you’re growing and producing at Stuhlmuller Vineyards? Why? Alexander Valley covers mostly those Chardonnay and Cabernet Sauvignon, but also Merlot and Sauvignon Blanc. We are pretty much on target with the AVA with mainly Chardonnay and Cabernet Sauvignon. We do make a little Zinfandel. This year – 2016 – will be our first vintage of Estate Sauvignon Blanc, which I am very excited about. 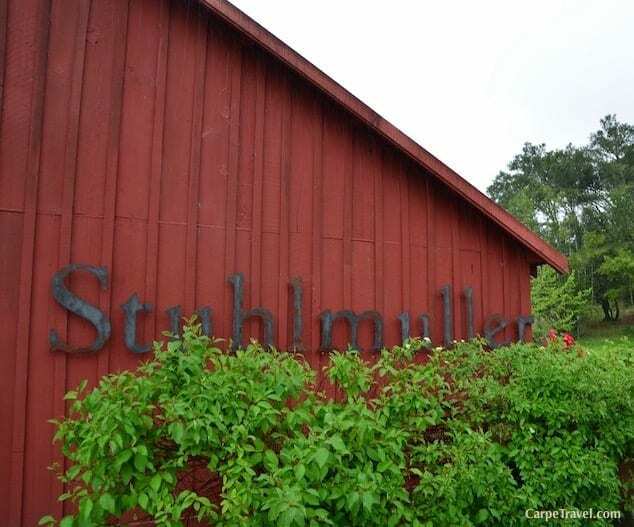 Have you visited Stuhlmuller Vineyards? Tried the wines Leo makes either at Stuhlmuller Vineyards or Leo Steen Wines? I’d love to hear your thoughts in the comments. Next PostBeaches in Colorado? Yes they do exist.